Here are some of KingstonCitizens.org’s highlights in 2010. With so many ‘first ever’ projects and initiatives this year, I’m hopeful that more of us are coming to realize that anything is possible here. All you have to do is imagine it, roll up your sleeves and make it happen. Happy New Year. Here’s to a meaningful, creative and community minded 2011. * KingstonCitizens.org joins the ranks and begins posting on Facebook. * The City of Kingston is named one of the top ten places to buy a home in America on a national news program. * The Healthy Kingston for Kids initative is launched with a grant from the Robert Wood Johnson Foundation. * The Everett Hodge Center launches its ‘Food for Thought – Rewards for Excellence’ program providing healthy meals for the youth who frequent the center. * Having 100 family members living in Haiti during the tragic earthquake, Kingston resident Jerrice Baptiste is supported by local musicians to raise money to help. * Three Alderman entirely new to politics are sworn into office at Kingston City Hall. (Ward 1 Andi Turco-Levin, Ward 5 Jennifer Fuentes, Ward 9 Hayes Clement). * Joshua Applestone of Fleishers Grass Fed and Organic Meats is a guest on Emeril Lagasse’s Food Network program. * Kingston’s Main Street Manager program launches a new website called “Kingston Happenings“. * First term alderwomen Andi Turco-Levin (Ward 1) and Jennifer Fuentes (Ward 5) host first Ward community meetings for their constituents. * The Queens Galley hosts its first ever Hunger Banquet in Kingston. * The Chronogram is nominated for an Utne Independent Press Award! * Ward 9 Alderman Hayes Clement helps to shed light on overpayments to the safety net that will help save Kingston citizens a mint. * The Kingston, NY Neighborhood Watch Group hosts it’s first official meeting. * The first annual citywide street clean is a huge success. * The GW Montessori School works to expand its program to accomodate K-5. * The City Hall Victory Garden in its second year showcases a ‘square foot’ garden to illustrate how much food can be grown in an 8×8 foot raised bed. * The Kingston Times wins first place in Division 1 for local government coverage in the 2009 NY Press Associations Better Newspaper’s contest. * Fleishers Grass Fed and Organic Meats shows Martha Stewart how to break down an entire pig on her national program. * Diane Reeder of the Queens Galley goes to the White House! * First Community safety walk is organized by the Kingston, NY Neighborhood Watch. * New business in Kingston: Boistons in Uptown Kingston and Kingston Natural Foods in the Rondout opens its doors. * Clearwater Sloop announces docking in Kingston’s Rondout Creek. * The first ever citywide yard sale is launched and successful, even in the rain! * The YMCA Childrens garden breaks ground thanks to Ed Blouin of the City Garden Coalition. * The Stockade Tavern opens for business. * Midtown Kingston hosts design Charrette to re-envision Kings Inn. * The Soapbox Derby hosts its 16th annual Derby. Organizers say it was their last year in doing so. Has the torch been passed? Lets hope so. * Carnegie Library restoration project breaks ground. * The Kingston Land Trust hires a full time Executive Director. * Kingston citizen Paul Joffe launches ‘After the Press’. * The O + Festival is wildly successful in fusing music and visual arts with the medical arts. One of the more exciting projects to surface in my almost ten years of living in Kingston. * Second Chance 4 Me hosts ‘Art on the Line’, a three day event celebrating the arts of all kinds at 721 Media. * The South Pine Street City Farm, Kingston’s first urban farm gets underway. * Kingston Cares works to bring midtown residents together by hosting their second annual community forum at 721 media. * Volunteers come together to clean Forsyth Park. * City of Kingston Environmental Educators Julie and Steve Noble welcome a son Matthew Thomas Noble. * Kingston hits the big time again with an article in the NY Daily News who refer to our city as “Brooklyn North”. Don’t Be Greedy, Be Grateful. The weekend brought out shoppers in droves, and I couldn’t help but ask myself where all the holiday money was coming from. With jobs scarce and credit cards maxed, what gives? Didn’t I just read something about a double dip recession? You’d think whatever we had left, we’d be socking away. To make matters worse is that the bulk of the shoppers were at the mall. Corporate chains devour our local dollars and continue to obliterate our communities unique main street (and yes, even main street carries the majority of its items made in China. I will get into that at some other time). Even the most aware are in search of a bargain during the holiday season. For that, I say bah humbug. What’s it going to take to turn this ship around? Raising a young child and struggling with our odd urge to consume as a society, I developed a recourse to my sons wanting with a catch phrase that seemed to say it all. “Don’t be greedy. Be grateful”. Saying this over and over again for the past several years is paying off. At five years old it’s all I have to say to him when he wants something that he really doesn’t need. He’s even saying it back to me when the same applies in reverse. 1. 12.4 % of New York State Residents struggle with hunger. 2. Nearly 2.7 Million New Yorkers live in Poverty. That’s approximately 14.2% of the population. 3. Nationwide, millions of dogs and cats are abandoned in rural and urban areas. 4. An estimated 26.2 percent of Americans ages 18 and older (about 1 in 4 adults) suffer from a mental disorder. This translates to about 57.7 million people. In addition, mental disorders are the leading cause of disability in the US and Canada. 5. Of the almost 3.5 million violent crimes committed against family members, 49% of these were crimes against spouses. 6. Lesbian, gay, bisexual, transgender and questioning youth are up to four times more likely to attempt suicide than their heterosexual peers. Adolescence who are rejected by their families are 8.4 times more likely to report having an attempted suicide attempt, and for every completed suicide attempt, it is estimated that 100-200 are made. 7. Residents of many US Cities lack adequate access to parks and open space near their homes. Community gardens increase residents sense of community ownership and stewardship, provide a focus for neighborhood activities, expose inner city youth to nature, connect people from diverse cultures, reduce crime by cleaning up vacant lots and build community leaders. 8. Buy a subscription to our local paper. 9. Support the O + Festival by making a donation. If you don’t find something here that is important to you, take a moment and ask yourself what is. 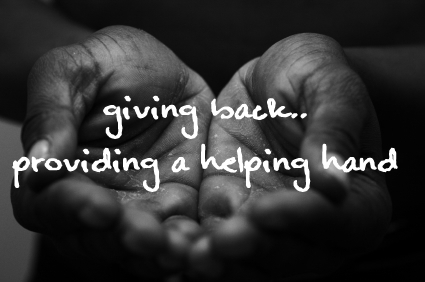 You’re bound to find an organization doing great things locally that could use a hand. Google it – and better yet, share it with us in the comment section of this post. Tonight, towards the conclusion of the Uptown Holiday Open House, The O+ Festival will present more than $1,000 of their first-year proceeds to two local charities in Kingston. The amount represents a 10% gift that O+ board members agreed to disperse to charities on an annual basis. This year, O+ will recognize Angel Food East, a hot meal program for people living with HIV and AIDS in the Hudson Valley, and the Queens Galley, an Uptown-based program that provides awareness, education, relief and prevention of food insecurity in America, for their contributions to wellness in Kingston and the Hudson Valley, and their active commitment to fostering healthier communities. Representatives from all three organizations will be present for a brief & informal ceremony under the Christmas Tree on Maxwell’s Patio, commencing at 8:10 p.m. Please join us! The remaining 90% of O+’s 2010 proceeds are currently going to support the 501-c3 application process for non-profit status, the O+ book project, a music/health event in spring 2011 (more info to come!) and the second annual O+ Festival, Columbus Day Weekend (October 7, 8, 9) 2011. Director Maciek Godlewski recently completed a 4.5-minute mini-documentary of the first annual O+ festival — watch it on Vimeo! Keep up with news at O+’s recently relaunched website at www.opositivefestival.org (which touts a great feature on the fest in the current issue of Businessweek magazine ) and follow O+ at www.facebook.com/opositivefest. Thanks for your support in 2010. And please join us tonight in thanking Angel Food East and Queens Galley for making a positive difference, and Uptown for a very great year. 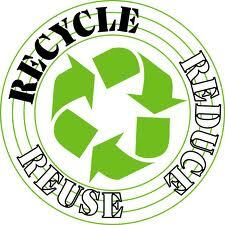 Here is a link to the new DPW Refuse/Recycle schedule for 2010/2011. Thanks to Ward 1 Alderwoman Andi Turco-Levin for alerting us. Click on this LINK to view and print a copy.